Buy More Wide Roll Tulle Ribbon Save More! 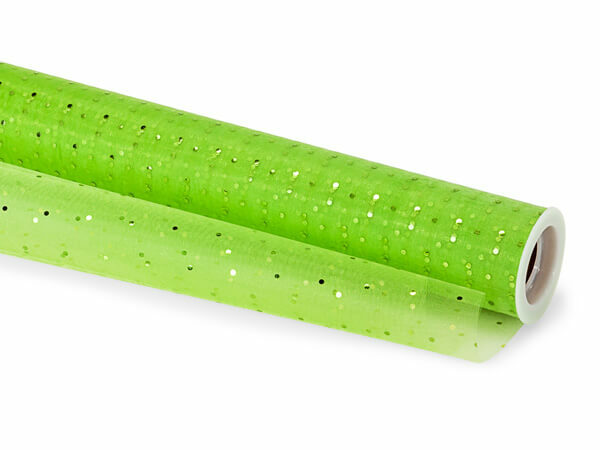 Citrus Green tulle ribbon with silver sequins is perfect for decorating, making wreaths or tying large bows! This wide 18 inch tulle is also perfect for tulle skirts and tutus! Solid color Tulle Fabric Rolls for weddings, pew bows, gift wrapping, large bows and decor. Wide Roll Tulle ribbon is flame retardant and meets heavy metal and lead requirements. Solid color tulle has a diamond weave, while the sequin tulle has a tight weave which resembles organza material.